While I enjoyed Reach, the narrative didn't do it for me at all. I felt like the team deserved much better endings than what they got. Spartans regularly shrug off rockets to the face and can punch a tank so hard it explodes. All the cutscene deaths were things that would have been completely trivial encounters had they been gameplay. It made them seem almost suicidal. It's a fun game, though, and well done. I'm looking forward to the Halo: CE re-release, as I haven't played through that campaign in 6 or 7 years. FYI, this latest podcast hasn't appeared on either of the feeds. 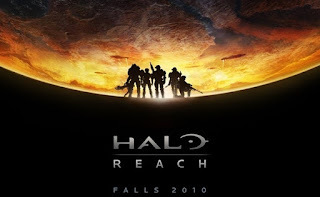 Funny enough for me Halo Reach has been a success. For me I have never really been into Halo but on a multiplayer stand point they have me hooked. The constant updates and their attention to the community really makes me love what Bungie has done. Grifball is such an amazing game mode that people who hate multiplayer experiences seem to love it when they come and play. 343 is in charge now and what worries me is that they will take it in a direction like Call of Duty. I fear that all the new game modes will be packed into the map packs which worries me. The other things that scares me is that 343 might use Master Chief as a crutch. What I mean by that is that 343 might not bring as much new game mechanics because they are resting on the star power of Master Chief. I have to say I did like that ending of Halo Reach, the funny thing is that it didn't even had that "the last stand" or Horde mode feel to it for me. When you're playing alone on Legendary or even Heroic difficulty you die so fast that literally the first enemy I encountered just slaughtered me due to that wide open environment you're in. So for me it almost felt more like suicide. Plus it gives you this cool feeling of how you managed to kill all those dudes before when you really needed to by using the surroundings in a clever way. What you didn't talk about was the music, I like how they went from a jazzy tone in ODST to mixing some of the tracks with rock sounds. I know what you mean about the discrepancy between the cut scenes and in game events. I'll be interested to see whether anyone ever solves that problem. Also, thanks for pointing out the Master Chief Easter egg! Thanks for the heads up! Feedburner crapped out on us, but we're patching together a solution. I share a lot of your concerns, as Halo's strength has always been dynamic fights rather than scripted events. Even the multiplayer is more prone to unexpected combat encounters than games like Gears or CoD. On the optimistic side, I saw a few people in Reach's credits who I know are now part of 343, so hopefully they'll carry the Halo spirit with them. But seriously, sorry for almost laying waste to RDR's plot! Good point about the final fight's barren environment; I hadn't thought about it that way. Also, I'll have to go back and listen to some of the music you mentioned. I missed the connections, but it sounds like a nice homage to the other games.